A year ago, world leaders met in New York to agree an historic set of goals to radically improve the lives of citizens and challenge inequality by 2030. For the first time, the right of children to grow up in a world free from violence has been enshrined as a global priority. ChildFund’s Impact report assess how we can make that goal a reality. The Agreement of the Sustainable Development Goals (SDG’s), also know as the Global Goals, in September last year was a watershed moment for children’s rights. For the first time ever, the international community agreed that eliminating the threat of violence against children by 2030 should be nothing less than a global priority, one requiring strategy, action, and evaluation of performance. ChildFund’s 80 year history in working to improve the lives of children around the world, our vast knowledge of the developing world, and our trusted relationships with partners and local communities on the ground make us ideally placed to meet these challengers. Protecting children is not just about protecting them from specific violations. For ChildFund it is much more complex, ambitious and far reaching than that. We take a comprehensive approach to child protection, one that entails investment in the essential bonds that connect children, their families and the community, as well as national and global institutions. The ultimate goal is to build, from the bottom up, stronger systems that better serve children and improve their overall well-being. In short, child protection is not just part of what we do, it is everything that we do. 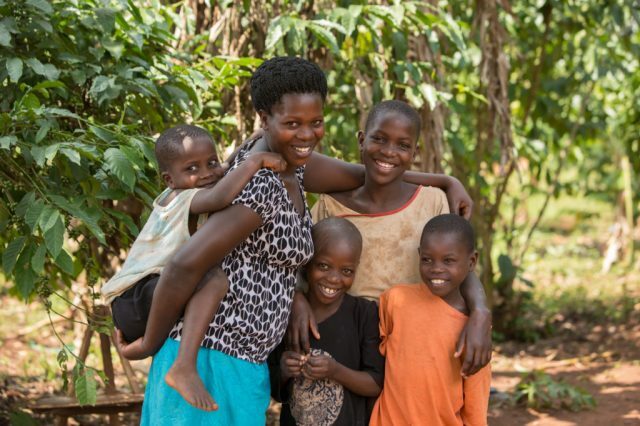 ChildFund’s latest Impact report affirms our belief that without protection from harm, other efforts to advance child development will be undermined. Our goal is to create a comprehensive protection environment for children. So how does ChildFund work globally to protect children and create platforms for their health and development? The 2015-2016 Impact report highlights some key findings that illuminate our successful work protecting children, and chart the road ahead in the SDG 2030 landscape. In five provinces of the Philippines where ChildFund works, our interventions reduced child labour by 96% by providing realistic alternatives to sending young children to work in dangerous conditions. In Belarus ChildFund has worked to identify gaps in the system of care for children. ChildFund worked with communities and government to establish a modern child protection and alternative care system, This has enabled 17,000 to thrive with their families rather than placing them in state-run institutions. In Ethiopia ChildFund has worked to challenge deeply ingrained social norms that can allow damaging practices to harm children and impeded their development. ChildFund has engaged with community advocates, religious leaders, governments, media and other influencers to change the way people perceive female genital mutilation (FGM) and reduce incidence rates. Children need to be recognised as citizens before the state recognises its responsibilities to them. That is the scenario seen in some developing countries and is one of the core reasons why ChildFund has undertaken birth registration drives. In Kenya a child cannot access health care and legal protection without a birth registration. ChildFund worked with local governments and communities to create mobile birth registration centres that enabled remote families to register their children. 77,000 vulnerable children were registered in one year alone. In Mozambique ChildFund Ireland partnered with the health authorities in Gondola district, encouraging them to instigate more family friendly polices, making it easier for parents to register their children. • Support protective factors in children’s environments. • Address social and cultural norms that harm children. • Help formal and informal structures fulfil their roles and responsibilities for the best interest of children. • Engage children and youth in accordance with their ability, need and right to act for their own protection. • Address underlying causes of harm. • Invest in a systems approach that bridges informal and formal systems to promote real and sustainable change toward child wellbeing and protection and to reflect all rights of the child.